Florida 436 (Semoran Boulevard) west of I-4. Photo taken 07/09/16. 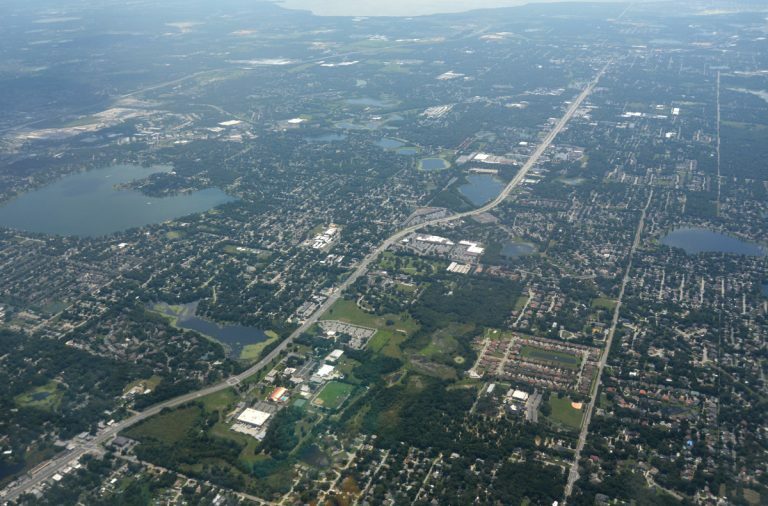 Following a combination of Semoran Boulevard, a name derived from the combining of Seminole and Orange Counties, and Altamonte Drive, State Road 436 arcs east and south from U.S. 441 (Orange Blossom Trail) in Apopka to Orlando International Airport (MCO). An often congested arterial, SR 436 travels through Forest City, Altamonte Springs, Casselberry and east Orlando. Completed upgrades along the corridor include the addition of grade separated interchanges at East Colonial Drive (SR 50) and U.S. 17 & 92 (Orange Avenue), construction of a flyover from Semoran Boulevard south to Red Bug Lake Road east, and a new flyover from SR 528 (Beachline Expressway) to Jeff Fuqua Boulevard into Orlando International Airport (MCO) at the southern terminus. North/south cardinal directions are used for SR 436 within Orange County. The Seminole County portion is marked with east/west banners. Douglas Avenue constitutes a west side frontage road for Interstate 4 between SR 434 and SR 436 (Semoran Boulevard) in Altamonte Springs. The road meets SR 436 across from Wymore Road south to SR 414 in Maitland. I-4 Ultimate construction converted the signalized intersection with Altamonte Drive into a RIRO along both directions of SR 436. Photos taken 04/29/08.